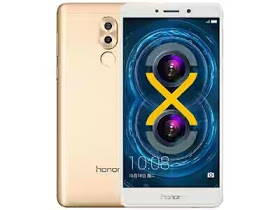 After the launch of Huawei Honor Pad 2, Huawei have now successfully launched a new smartphone called the Huawei Honor 6X with a great specifications and features also. This smartphone has a great specifications with screensize of 5.50-inch with resolution of 1080x1920 pixels and octa-core processor. It comes with 3GB RAM and 32GB internal memory storage with 12-megapixel rear camera and 8-megapixel front camera. It runs on Android 6.0 Marshmallow and has 3340mAh battery capacity.